Data analytics is one of the pillars of Digital Transformation, helping organisations to discover operational efficiencies and open up new markets, while also harnessing the power of new innovations such as Artificial Intelligence (AI) and the Internet of Things (IoT). Logistics is one of the areas that stands to benefit the most from this evolution, allowing organisations to optimise routes and track assets. Connected vehicle applications and Industrial Internet of Things (IIoT) are two developments that could revolutionise the sector. 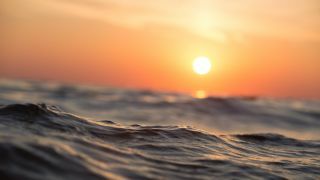 But as the world becomes more connected, there is one glaring omission – the ocean. Vessels are obliged to carry mandatory safety equipment on board but the primary method of staying connected has been satellite. Although recent advances in satellite technology have improved capacity and lowered latency, the cost of satellite connectivity has traditionally been prohibitive for some applications and capacity may not be sufficient to cope with the growing digitisation taking place. This means that despite the ever-growing amount of data generated on a ship, it cannot be viewed or analysed in real time, limiting the ability for the IoT to have an impact on the industry. Some ships can even go “missing” for days – a surprising situation given the value of the vessels and cargo. But a firm on the edge of the Arctic Circle believes HF radio can be the answer. KNL Networks was formed in 2011 as a spin-off from the University of Oulu and was founded by radio enthusiasts, telecoms experts and engineers and since 2017, its network covers the entire globe. The idea is that many of the sensors on these ships only transmit small bits of data infrequently. This means that speed and latency are not an issue and therefore radio technology is ideally suited. “Since satellite arrived it has been the only method of communication for shipping,” KNL CFO Maria Alahuhta tells TechRadar Pro. “Others have been looking to space, but our engineers went back in time more than 70 years to look at radio which has been untouched since the 1930s. “The two barriers for maritime technology are coverage and access. We know more about space than we do about the ocean and astronauts on the moon [arguably] had better coverage than ships at sea do. The kit itself combines GPS, radio, Wi-Fi and cellular technologies and connects to a computer or the Internet via a LAN port and to an antenna which spans between eight and ten metres. This is obviously a large appliance, but most commercial vessels can accommodate it. KNL claims it’s easy to install and use, while software-defined radio technologies and cognitive computing capabilities mean it picks the right frequency and is self-optimising. KNL operates a mesh network which means that in addition to its own infrastructure, every ship that connects to the network can transmit a signal. This, KNL says, means radio is more resilient than a satellite network that only has one point of failure and also allows packets to select the most optimal route across the ocean. It’s capable of speeds of up to 153Kbps, which is enough for sensors and emails, but does mean that satellite still has a role to play. “We are not here to replace satellite networks as they can still transfer more data than we can, but we are here to provide global coverage you can have real time traffic for the IoT,” adds CTO Teemu Vanninen. Security is also a key concern and KNL says it boasts “military-grade” security that gives customers confidence in connecting critical systems. “In order to operate your engine remotely you need a secure connection as you can’t have anyone hack your ship,” he continues, adding that this level of protection means it can serve the military and defence sectors (as well as disaster relief operations) although they don’t use the mesh network. KNL believes it can benefit from a wider trend of maritime digitisation as the industry makes up for lost time.